Where the once proud Stardust stood and beckoned weary travelers off the highway with a galaxy of neon and Lido de Paris showgirls, today Boyd Gaming held a groundbreaking ceremony for the Echelon Resort that will be built on the memory of the Stardust Hotel. According to reports, the new hotel will be completely finished and ready to open in late 2010. It will cost $4.8 billion dollars (yes, you read that right). That's a slight increase over the previous estimated price of $4.4 billion. Boyd Gaming is building the Echelon as an investment to tap into the high revenues of luxury resorts. 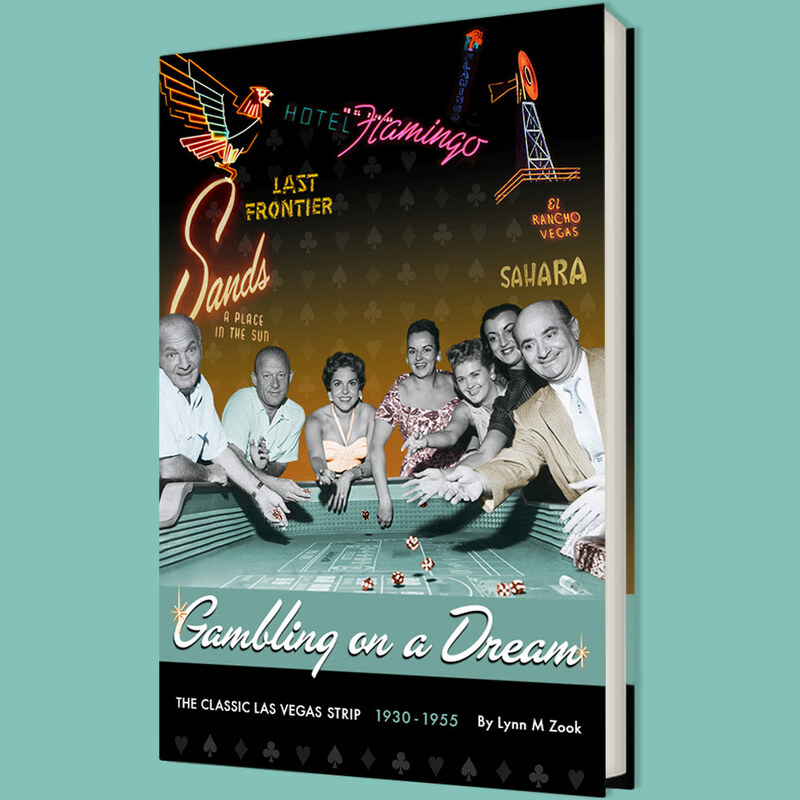 "The upscale area of hotels is incidentally very much undeveloped in Las Vegas compared to cities like New York, Los Angeles, and Chicago," William Boyd said. The Echelon Resort will consist of five different hotels for a total of 5,000 rooms. Hard Rock Hotel Operators, Morgans Hotel Group, will operate two of the hotels: the Delano and Mondrian Las Vegas. One of the hotels to be called Shangri-La will be a partnership between Boyd Gaming and a high-end Pacific luxury resort company. The other two boutique hotels, Hotel Echelon and the Suites at Echelon, will be run by Boyd Gaming. The resort will span 87 acres. The resort will consist of 750,000 square feet of convention space, 140,000 square feet of casino area, 350,000 square feet of retail space, two live venue rooms including a 4,000 seat production theater and a 1,500 seat performance area operated by AEG Live and 30 different restaurants and nightlife venues. The retail space will be co-owned by Boyd Gaming and General Growth Properties. BLT Architects has been selected as the Executive Architects for the resort. Bob Michaels is the president and chief operating officer of General Growth. "What you will see here is a lot of first time retailers to the Las Vegas market. That is our goal to bring in new and exciting retail," he explained. While the groundbreaking just happened, William Boyd is said to be very confident that the entire resort will open by the end of 2010. Hotel Echelon, with 2,500 guest rooms and suites, will embody elegance, comfort and convenience with clean, contemporary design. The guest rooms and suites, designed by Lawrence Lee Associates, will be thoughtfully appointed to host, with equal attention, guests visiting for business or staying for pleasure. The hotel will feature a grand arrival experience and a dramatic entry lobby designed by Gabellini Sheppard Associates. A separate dedicated group arrival area will ensure smooth check-in and access to the hotel. The hotel will also feature a two-story luxury spa, salon, barbershop, a comprehensive fitness center and lushly landscaped pools and gardens. The Suites at Echelon is a 650 all-suite hotel catering to the discerning business traveler and indulgent vacationer alike. With a separate entrance and porte cochere, the Suites at Echelon will offer an elevated level of style, service and amenities. With interiors designed by Jeffery Beers International, the hotel will feature suites ranging in size from 800 square feet to over 7,000 square feet, a hotel lobby with guest reception and concierge, an intimate bar and lounge and a feature restaurant. The Suites at Echelon will showcase dedicated conference space, a luxurious spa, salon and full-service fitness center. The all-suite hotel will be steps away from high- limit casino action. Shangri-La Las Vegas will be operated by Shangri-La Hotels and Resorts, Asia's premier five-star luxury hotel company. The intimate, modern luxury setting will include 282 guest rooms and 71 premium suites with a distinctive porte cochere and hotel lobby. Shangri-La will feature 14 guest rooms per floor, providing quick and easy access from elevators, and will offer a superior in-room hospitality experience. With interiors designed by Hersh Bedner Associates, the hotel will feature a 20,000 square foot CHI spa, well- appointed premium meeting space and two feature restaurants. The new Mondrian and Delano will feature approximately 860 and 550 rooms respectively, with a diverse collection of rooms, suites, lofts and bungalows. Morgans Hotel Group has named Chad Oppenheim as design architect for both hotels, Marcel Wanders as interior designer for Mondrian and Piet Boon as interior designer for Delano. Together, this celebrated team of designers and architects will design and develop the hotels to bring a new level of style and sophistication to Las Vegas. Each hotel will feature its own porte cochere, lobby, destination restaurants, nightlife venues, pools and gardens and will have direct access to the gaming, retail, dining and entertainment offerings of Echelon. Delano will boast a lobby bar, one of Morgans Hotel Group's historically successful restaurants, and amenities including a spa and fitness center, private pool and recreation area. Mondrian will include an innovative nightlife venue, private pool and meeting and conference space to appeal to both business and leisure guests. Construction on the Delano and Mondrian is expected to begin in the first quarter of 2008. Echelon's Retail Promenade will complement the style and sophistication of the five distinctive hotels of Echelon. With interiors designed by Gabellini Sheppard Associates, the contemporary promenade will feature a mix of luxury boutiques, international brands, distinctive cafes and signature restaurants. The Retail Promenade is co-owned by Boyd Gaming and General Growth Properties, one of the retail industry's most diversified and well-resourced operators. AEG, one of the world's leading producers of entertainment and sporting events, whose venues include The O2 in London and O2 World in Berlin, the Staples Center in Los Angeles and the Nokia Theater in New York City, will operate the 4,000-seat production theater that has been designed to accommodate both concerts and production shows. In addition, a more intimate 1,500-seat theater will house touring acts and performances. The Meeting Center at Echelon has been designed to meet Las Vegas' strong and growing demand for meetings and convention space integrated into a resort environment. The Meeting Center will feature 650,000 square feet of meeting and convention space, bringing the total meeting and convention space at Echelon to approximately 750,000 square feet, including over 200 meeting rooms. The Meeting Center's proximity to the 5,000 rooms at Echelon will offer guests unparalleled convenience and access.